Check Crafter's Companion Design Team Giveaway. This will be at the top of the post until April 30th. Happy Thursday Everyone! 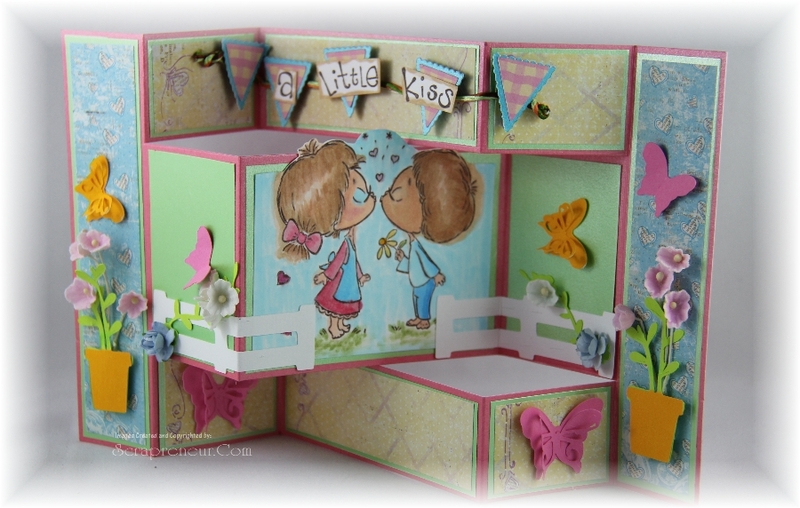 Today is my turn to post for Crafter's Companion as one of their Design Team members. I made this Tri-Fold Shutter card and used the iconic kissing couple of S.W.A.L.K. 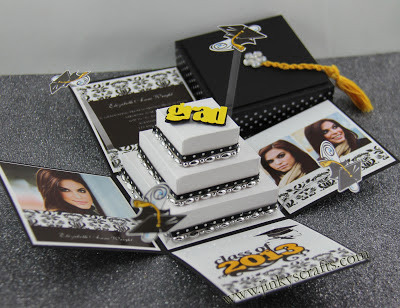 stamp sets as my focal point. The S.W.A.L.K. 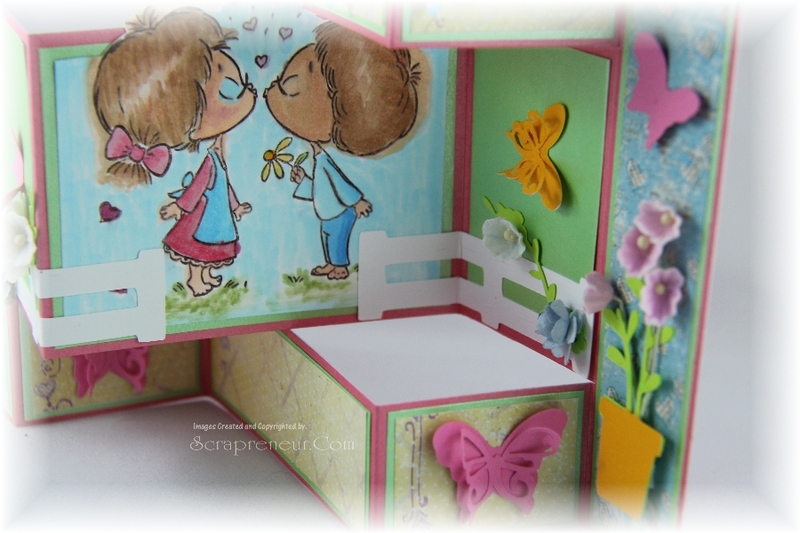 rubber stamp set is called " A Little Kiss" and it is launched today along with the other 5 sets. You can check more details about my shutter card here. Below is the tutorial on how to make this unique Shutter Card. 1. 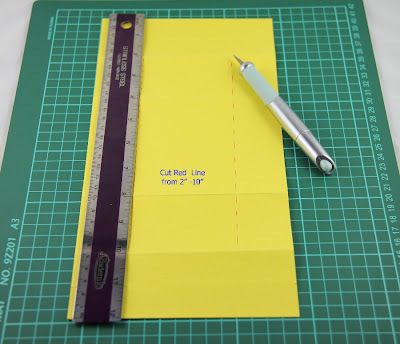 Start with a 6” by 12” piece of cardstock. 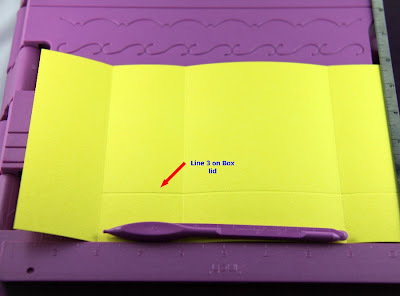 Note: See scoring instructions using Ultimate Crafter's Companion Tool in Blue Text. 2. Score paper at 2”, 4” , 8” and 10". ( Line 4 on Box Lid. 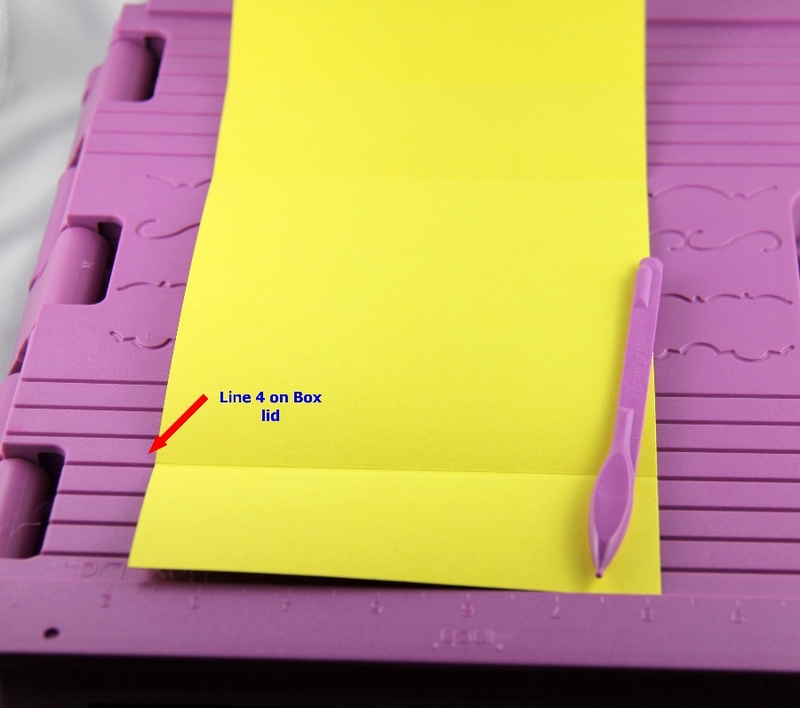 Fold once and score at line 4 again. Repeat on the other side). 3. Turn cardsctock ¼ turn. 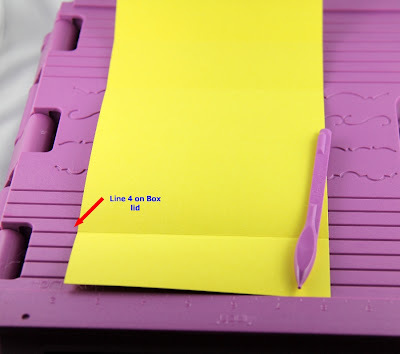 Along the side, measure in 1½" for both sides. 4. Make a slit with a craft knife between score marks 2" and 10". Repeat on the other long side. 5. 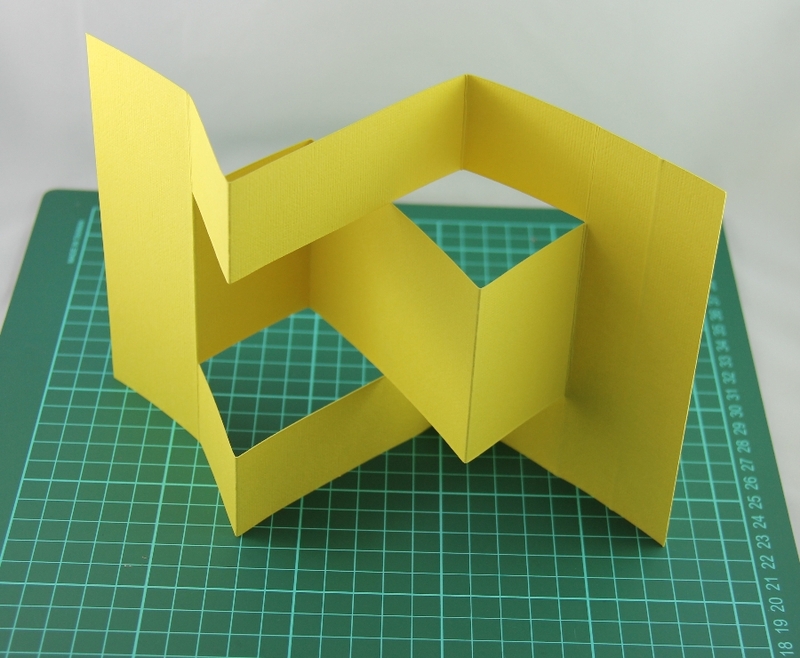 Fold card as pictured. 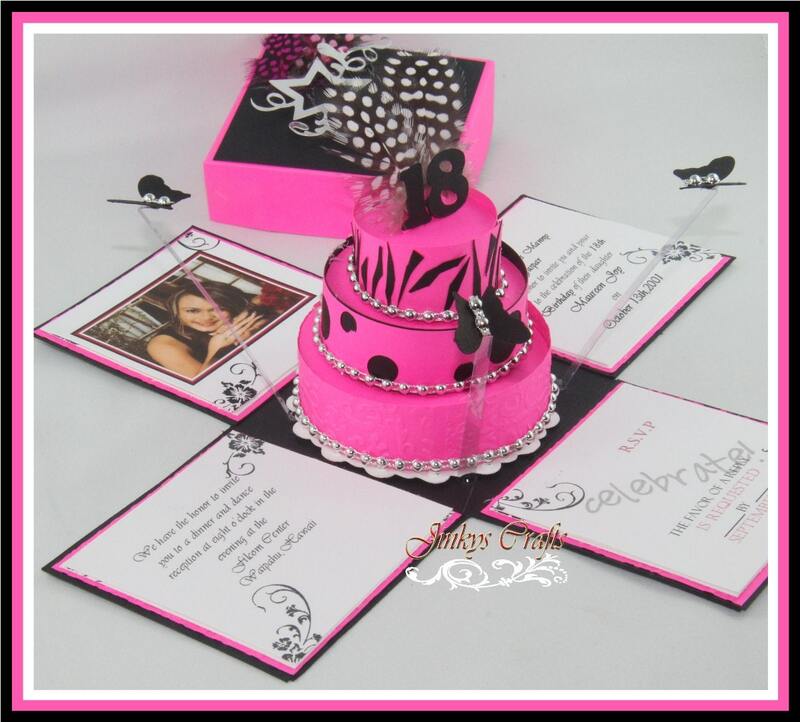 This is the base for your card to decorate. Thank you for stopping by. If you like what you see, please leave me a COMMENT. I LOVE reading COMMENTS! 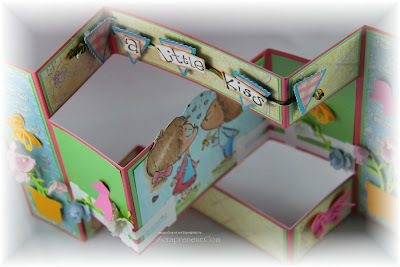 Your trifold card is just gorgeous!! I really need to break down and make one of those one of these days! Great tut Jinky - I've made a lot of trifolds but I always enjoy seeing someone else's better! 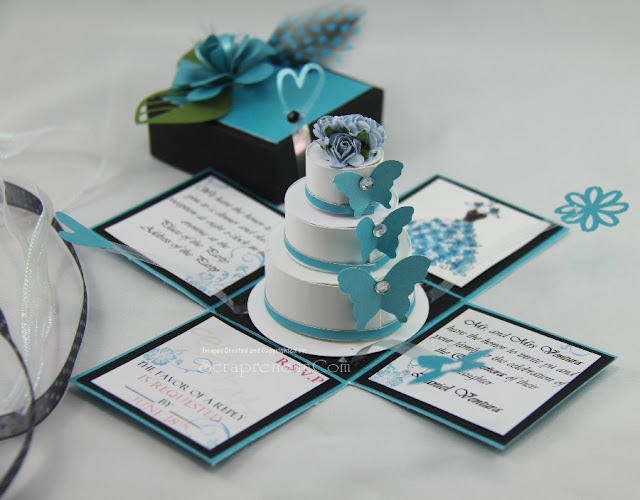 Your ability to turn that card into a piece of art is uncanny! Luv being part of your blog family! This is one of my favs,so cute,makes me think of spring,thank you for the hard work. Thanks for the tutorial, I am going to do this later today, you make it look so easy!